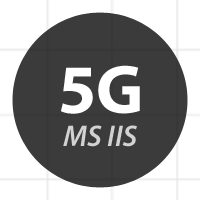 By design the 5G Blacklist works on Apache servers, but thanks to Scott Stawarz, here is a version for Microsoft IIS. Disclaimer: I do not use any Microsoft server stuff, so make sure to properly test everything before running this code on a live/production site. Also, if you scroll down to the end of this article, you will find some useful bonus snippets. Just copy/paste into your web.config file and you should be good to go. I really don’t know much about IIS, but this code looks logical to me and should be entirely plug-n-play, so no editing required. If you discover bugs or have ways of improving the code, please share via comment or directly. Tested on IIS version 7.5. This code is pre-indented for easy copy/paste into the 5G/IIS code. Huge thanks to Scott for sharing his work with us! Some of the rules (like “etc/passwd” and “proc/self/environ”) are Linux-specific and aren’t really needed in a Windows environment. Also be careful with blocking libwww and it blocks *all* libwww-based programs. You’re welcome. You did all the difficult work. I just had to translate it. I’m sure the web.config file can be improved if there are IIS experts. Also, one note in my testing, I found the blacklist can be aggressive. If you do add this to your IIS configuration or even if you add the apache version, make sure to test your web-apps. Some web-apps and ajax applications may break due to the blacklist. For normal everyday stuff, I’m sure it works fine. Good information. Of course I only have one client that still runs IIS.